Kathy Dore, a leader and innovator in the media industry, will deliver the annual Life With Phil Lecture. Dore currently lives in New York and serves as senior advisor for the consulting firm Proteus. In 2008, Kathy retired as president of broadcasting at Canwest Media. Prior to joining Canwest, she was president of entertainment networks for Rainbow Media, overseeing cable networks AMC, IFC, WE, and Bravo. Dore currently chairs the board of the UI Center for Advancement and serves on the boards of the Big Ten Network and the Association of Governing Boards. She received a B.A. in speech communications from the UI in 1972 and an MBA from the UI Henry B. Tippie College of Business in 1984. She has served on the UI Alumni Association Board of Directors and the Board of Visitors for the Tippie College of Business. 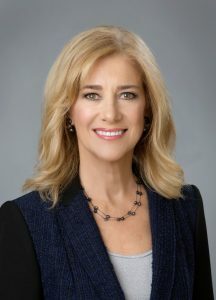 She received the UI Alumni Association's Distinguished Alumni Award for Achievement in 1998, was named Woman of the Year in 2003 by Women in Cable Telecommunications, and has been among the Hollywood Reporter's annual list of "100 Most Powerful Women." The lecture is part of the UI Center for Advancement's Student Philanthropy Initiative, which builds awareness among students about the importance of private support in enhancing their educational experience and actively engages current students in all aspects of philanthropy.